Highland Ridge Capital is a boutique investment banking firm, raising capital and providing Merger & Acquisition advisory services to mid-level companies with sales between $10 and $50 million. They needed a brand refresh to bring their image up to date. 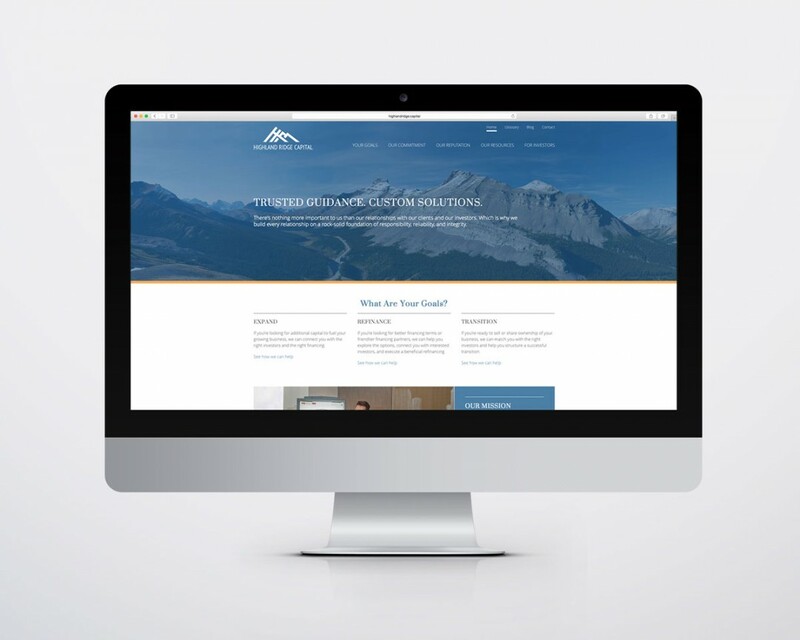 The company name and the original mountain image grew out of a family vacation tradition and they wanted to retain the mountain imagery. 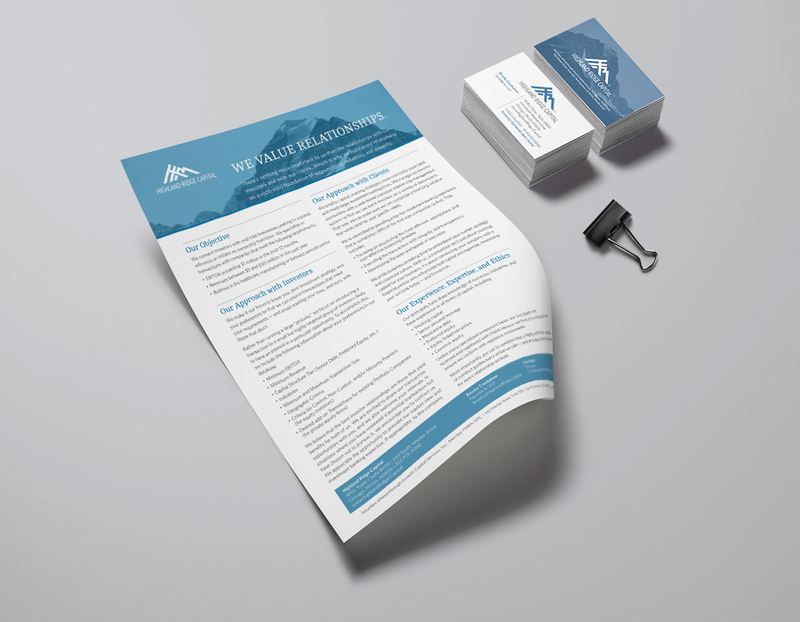 We infused meaning into a strong logomark that represented mountains made from an abstract use of the uppercase letters H and R.
We applied the new identity to business cards, a flyer and a trade show banner for an enhanced presence at meetings and conferences.